The size has been reduced to fit into standard partition. 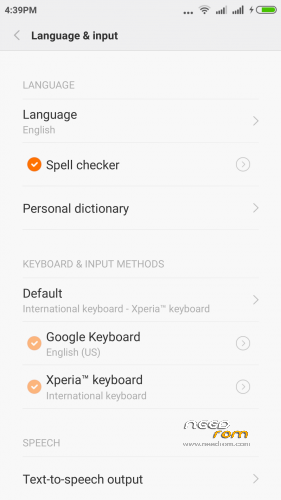 Added google apps, xperia z3 keyboard, dolby , init.d. wait till finish and reboot. First boot might take awhile so be patient. Not responsible for any damage your phone!!! 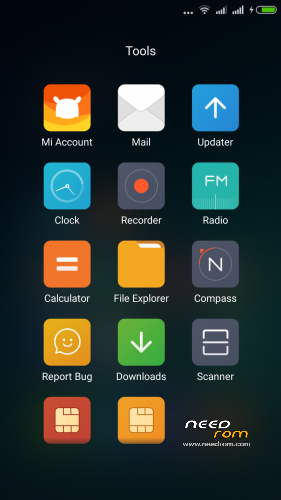 The rom MIUI_V6_5.6.18_Multilanguage works fine with recovery TWRP 2.8.4.0. The rom is very estable. I am trying this ROM and have a problem with the volume of radioFM. The volume with headphones is too high even at lower levels, I tried to lower them from the engineer mode, but no effect when I change levels (EngineerMode – Hardware Testing – Audio – Headset Mode – Type FMR). I put all values to 0 but still a high volume. I use RadioFM every days…any idea? 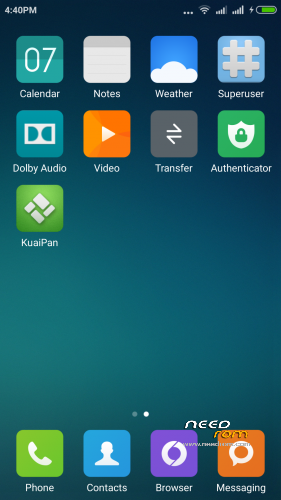 I am using MIUI 5.5.8 beta (I assume it is older version) . the only complain is the camera (both video and picture quality below original and constantly flicking during video shoot) . Anyone know if new version has the same issue or no? Thanks ricardoq . also is new version permits use of thirt party launchers? 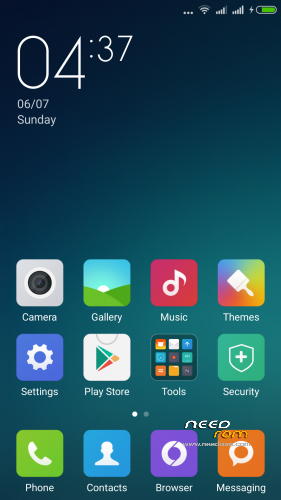 My older version does not accept changes to default settings from MIUI launcher to Google launcher for example. @aist1320 I downloaded and installed the file, and everything is okay ! Try to download again.When i have time, i will post another link. Can't we get OTA Updates….? I had similar error with a previous version too. 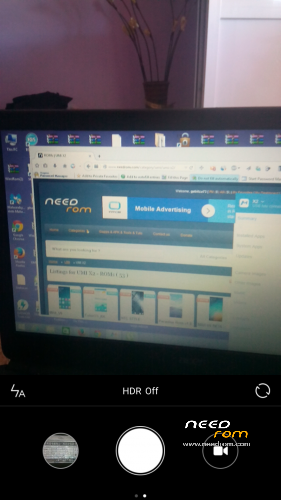 Try to go to advance tab of recovery and wipe everything (cache, dalvik-cache, data, system and so on everything!!! ), after install the rom. if it does not work try to format both (internal memory, and external SD (FAT32)) and repeat installation. Note: if you did system backup with twrp 2.8.4.0, you will lose the backup so make sure to copy it to safe location all files before formatting. Ohh no german, thats bad. 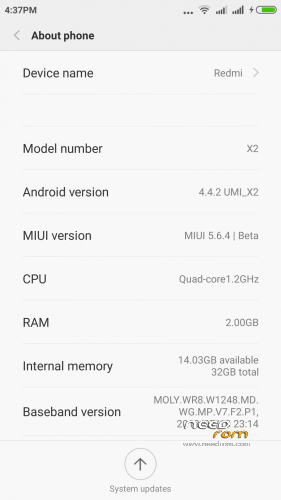 Does everyone gets 5Gb system with MIUI ? or I got it because I have re-partitioned ? My smartphone is 1GB/16GB model. I have 1,58 Gb in internal storage, and 13,10 GB in phone storage, according to MIUI system. In Titanium Backup, I have: 669 MB in System ROM, 1,58 GB in Internal Storage, and 13,10 GB in Multimedia. I have checked mine (2gb /32gb originally) and titanium backup shows : system 1.05gb; internal 5.28gb ; Media 24.5 gb. Before I always struggle with apps install (not enough memory) but now have no issues. But it looks like my trade off is 1 gb of ram . if I read it correct . 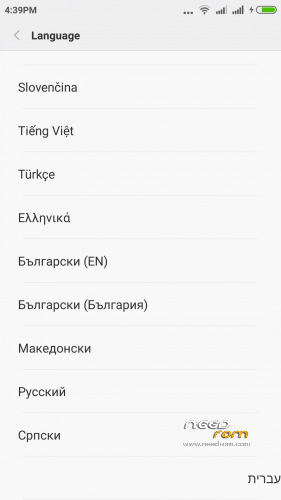 MIUI_V6_5.7.2_Multilanguage updated fine, thank you !! P.S. 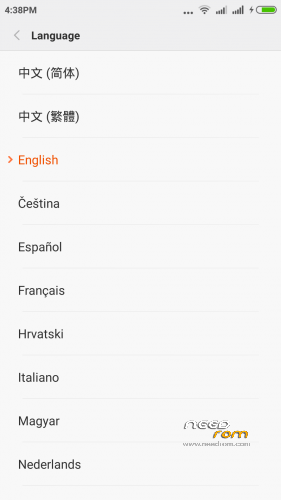 MIUI_V6_5.6.25_Multilanguage – not updated …. Hi !! Have you tried the 5.7.2 in your UMI X2? It works well?